Our Primary School theme days are always planned, developed and delivered following feedback from our schools and what they feel will excite pupils and encourage them to try something a little different. This year, we have reduced the number of special menus on offer and taken tips and suggestions on board to create a diverse and exciting set of menus for 2018/19. With the aim of providing more to pupils than a deliciously flavoured meal, we are certainly happy with the results as our special lunches are offering cultural and historical insights into diets from around the world and from times gone by. 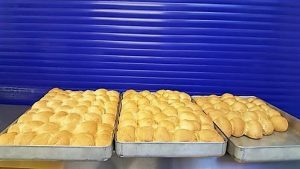 So far this academic year, we’ve already had School Meals Week, where our kitchens got creative with lunches that they felt their pupils would love to try, as well as Oktoberfest and Remembrance Day themed meals. We love hearing the reaction from pupils and staff towards their dishes and feedback has proved very positive indeed! 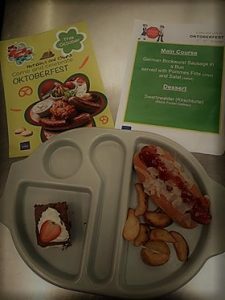 In October, Ewanrigg Juniors in Maryport embraced the Bavarian celebration Oktoberfest, offering pupils a delicious special menu featuring bratwurst and black forest gateau. The meal went down a treat and also gave students an opportunity to practice their German language skills! In November, many of our primary sites also marked Remembrance Day with a special lunch that was focussed around typical foods from the WW1 era, offering pupils an insight into the past as they took a moment to reflect on the sacrifices made by so many. 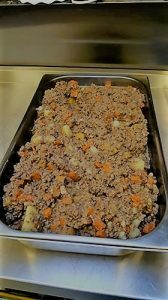 The popular tatie hash went down a treat at All Saints School in Cockermouth who sent in their delicious meal in advance of serving. We are so excited to see our next special menu to mark Chinese New Year in February. 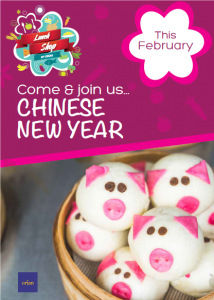 2019 is the Year of the Pig and we are very envious of the exciting lovely Asian flavours on offer to pupils. We’re predicting plenty of oriental converts! We wouldn’t want to spoil the surprise and so ensure you keep a lookout for what our kitchen teams have freshly prepared in the new year!